Made in the USA, HY-C Foundation VentGuards provide a clean, professional looking exclusion option and also save precious installation time. They feature a sturdy 1" hemmed frame for extra strength. 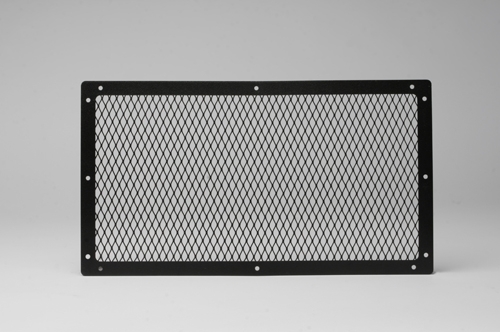 The 18 gauge 3/8" expanded metal mesh excludes animals and pests. Painted galvanized steel - 10" x 18", available in black only. Sold in packs of 10 covers. Price displayed is for 10 units.